Come have fun with us at American Family Fitness! With top of the line cardio equipment and personal trainers to help you reach your goals, we are the only place to be. Do you wonder why we benefit from cardio training? When done properly, cardio is able to increase your heart rate helping you to burn fat and improve health. It can assist in distributing oxygen throughout the body and improve energy levels too. 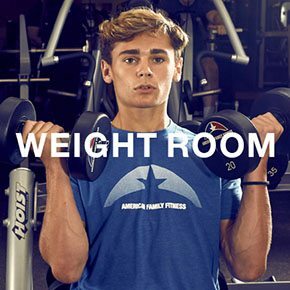 At American Family Fitness in Short Pump, we are here to help you reach all of your goals, and cardio training using our wide variety of equipment is one of the tools we will use to get you there. Have you always wondered what is so significant about cardio? With the proper amount of aerobic activity, you will increase your max heart rate and burn fat, while at the same time decreasing your resting heart rate for improved health. It improves oxygen distribution within the body, and also increases energy stores. We can’t wait to help you reach your health and wellness goals, and cardio training at our gym in Short Pump will be one of the many ways we can get you there. A wonderful counterpart to any cardio program is weight training; after all, you won’t be able to run very far if your muscles are weak. At American Family Fitness, we offer top-of-the-line weight machines for all muscle groups, as well as free weights. 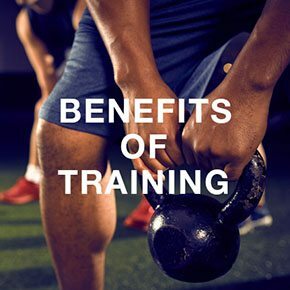 Find out why our members love the best gym in Short Pump! Come in and see us today. Do you hate having to wait for equipment? At our Short Pump gym you will never have to worry about that. 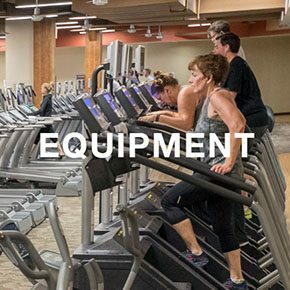 Our variety of cardio machines includes rows of treadmills, ellipticals, bikes, rowers, and stair climbers. You'll never have to wait for a treadmill again!